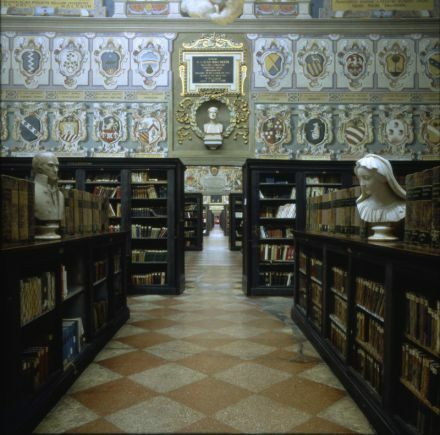 Created in 1801, the Municipal Library in Bologna was originally composed of books from the libraries of the religious orders suppressed in the Napoleonic age (1797–1798) and following the Reunification of Italy (1866). The new library was housed in the convent of St. Dominic originally, moving to the Archiginnasio in 1838. Twenty years later the head librarian, Luigi Frati, sub-divided the older collections by subject and housed them in the classrooms of the former University of Bologna (the Studio). Many bequests and purchases followed that enabled the library to grow, not only in terms of books and manuscripts but also statues and pictures, which are still present in the rooms of the historical building. 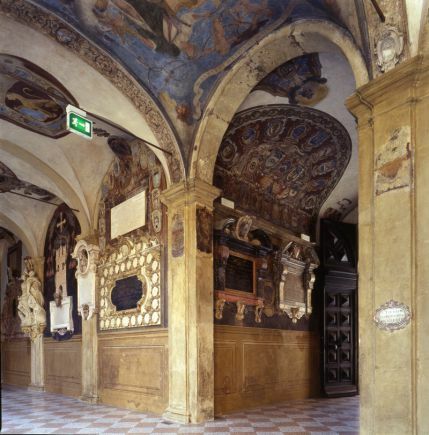 Over time, the Archiginnasio has developed into a specialist research and Humanities library, particularly with regard to Bologna and its surrounding territory. 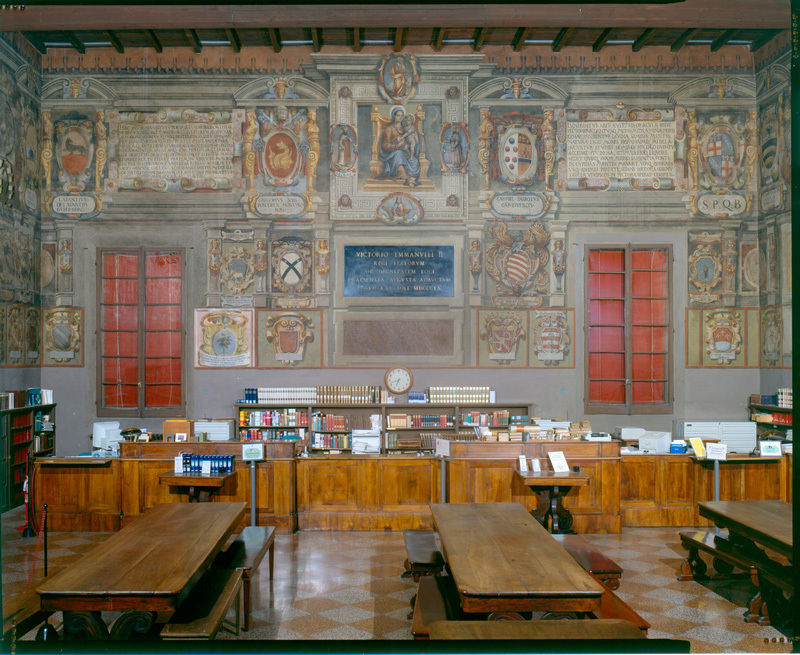 Today the library promotes many cultural events: lectures, meetings and publications, and publishes its own bulletin, L'Archiginnasio. It holds approximately 800,000 books and booklets, among which are 2,500 incunabola and nearly 15,000 16th-century books. The periodical unit holds 7,500 titles in the form of periodicals and newspapers, 750 of which are current. In the departments of Manuscripts and Rare Books and Prints and Drawings, there are significant collections of iconographical documents from the Middle Ages up to the modern day. The building, designed by the Bolognese architect Antonio Morandi known as il Terribilia, was erected between 1562 and 1563, and up to 1803 housed the University of Bologna. The walls of the rooms, the ceilings of the stairways and of the courtyards are embellished with a rich heraldic decoration made up of inscriptions and monuments celebrating the professors of the University of Bologna (the Studio) and coats of arms of the students’ families and their countries of origin. The anatomical theatre, built between the 17th and 18th centuries, is decorated with wooden statues.